We read the forecast the other day and did not want to believe it…they were calling for a foot or so in the flats…which often means twice that for us up here next to the divide. I spent some time cutting tile yesterday at a project nearby when it started to dump…as if running a wet saw in 20 degree weather isn’t cold enough. This morning we woke to about 14″ of fairly light snow, I wasted no time getting at it, as Tori was needing to get to work. Her Subaru struggles with snow over 6-8″. Unlike my Tacoma which can plow through up to 2′ without too much trouble. Before running the noisy blower, I did get to hear some great bird chatter. Here is a nice still shot of the new fallen white on Maybelle’s gate extensions. And a little Morning bird song. Its approaching 3 now and the few breaks of sun have melted the residual snow from the deck…is REAL Spring just around the corner? We woke today to an outdoor temperature over three times as big as yesterday. Today we had 28, yesterday it was only 8. 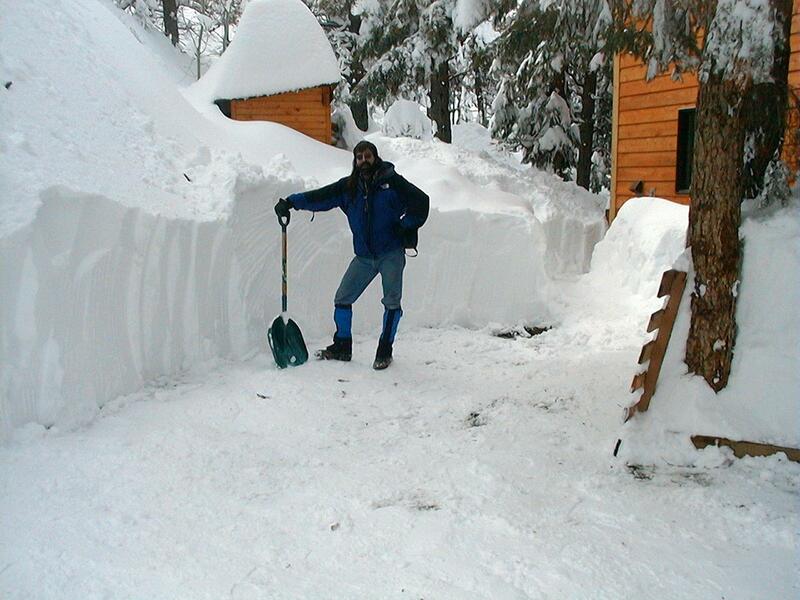 I spent a few hours yesterday blowing the drive of the 12-14″ that we got on Friday. We had some great sunshine yesterday and it looks like it will hold into today as well. 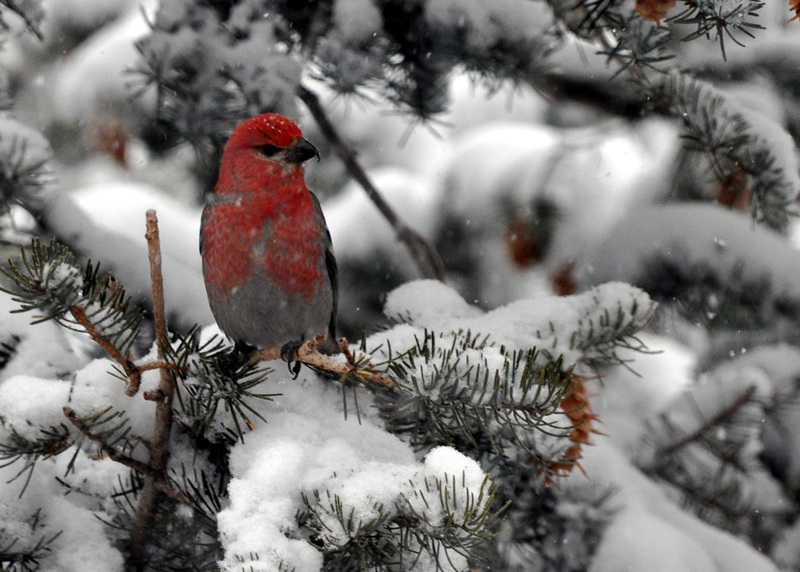 I did grab this nice pic of a Pine Grosbeak on Friday. 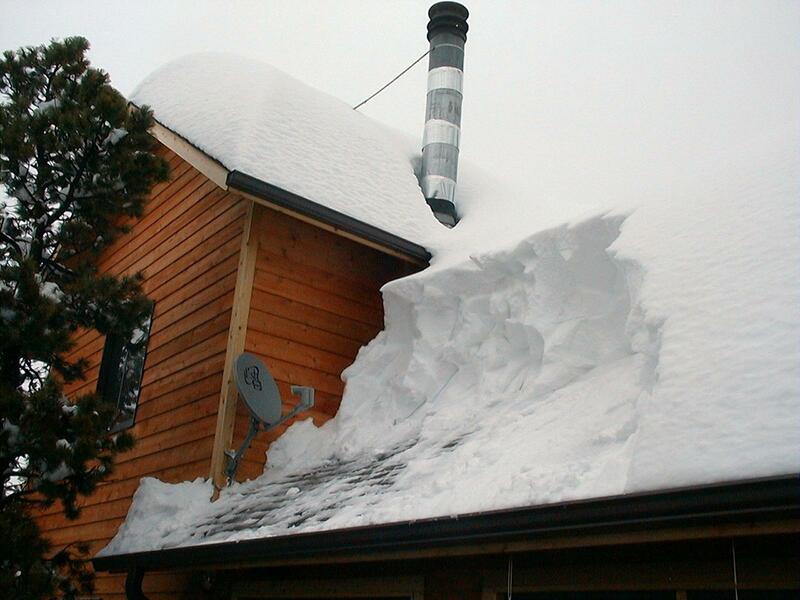 It was seven years ago this week when I experienced the single biggest snowfall event in my life. Growing up in Michigan we had a few “Blizzards” but they pale in comparison to what the Rockies can deliver. My parents will remember the “Big Snow of ’67” and I do from family slide shows. I also remember the storm of ’79. Yes, both of those shut down the city for a few days, in ’79 we did not have school for a week. I remember this part because we had just returned from a family trip to Florida and the Bahamas, and we had some wicked tans that we wanted to show off to our pale classmates, but we had to wait a week and were afraid we would lose it. 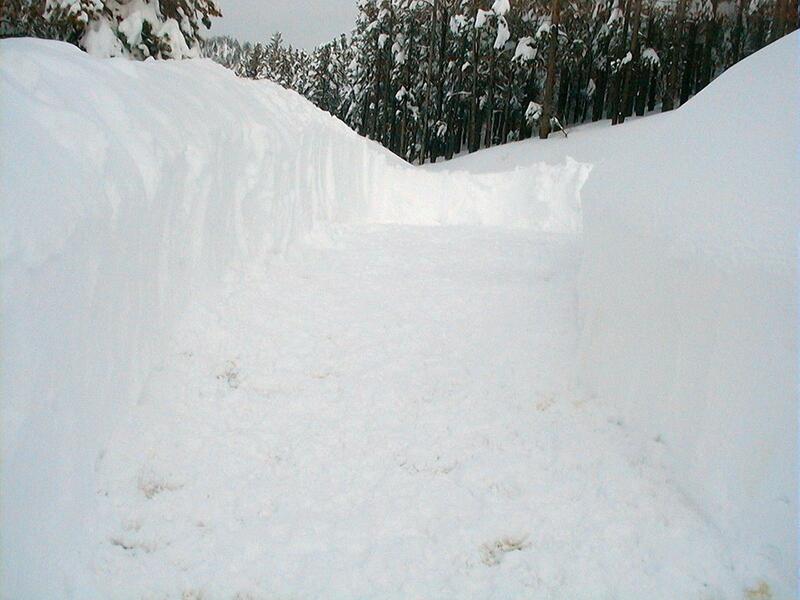 March of 2003 in Colorado, however has gone down in the record books, the Denver area got about 3 feet…which for them is a lot. We see that much every now and then from a single storm, but Denver had not seen that much since 1913. Here in Nederland we had over 7 feet. I remember the forecast saying that we were to got some, and since we were well into a multi-year drought I thought we might get a foot or two…so I did not stock up on dog food milk etc. 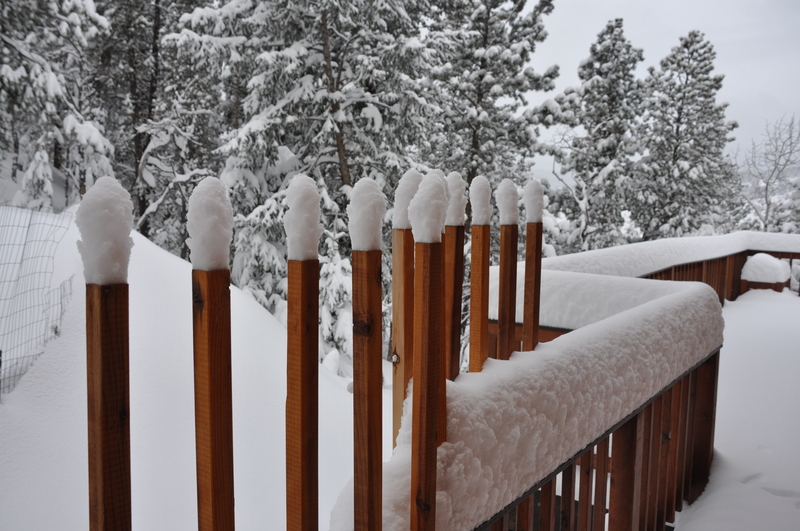 We woke Tuesday to about 2 feet and it was still dumping hard. We started digging out right away and taking turns watching the girls, we got to the end of the drive a few hours later. By that time, we had another foot and a half. Later that afternoon we lost our power. The wood stove in the bedroom gained huge favor with Sarah and the girls, and I was glad I put that into the addition’s plan. With the power out and the fridge sitting quiet we carved a spot on the deck to keep some of the fridge items cold. The wood stove in the living room is not very efficientwhen the power it out, its just an insert and due to no blower action the lower part of the house stayed pretty cool. By Friday we were very low on dog food and milk, so I grabbed the ski’s a made a trek into town. Our road was plowed with a meager trail about a mile from home, and it was there I dropped the skis and hoofed it the other mile in. The town was in chaos and the market was just getting back into business. I returned with a backpack full of supplies and headed back home. We finally got a thin single lane plowed past our house a couple days later. Our power was restored on Friday as well. In this storm over 250 people were stranded at our local ski area due to an avalanche on the ski road. After the weather cleared some, a helicopter brought in some food and other supplies to those stuck there. During the initial stages of the storm the National Guard was rescuing stranded motorist in their Hummers along the interstate and the road into the Denver airport. Other snow casualties included the collapsed gymnasium roof at our community center and a handful of other small structures. I started this post last night to clear weather, today we woke to about 4″ of fresh cold 18 degree snow, and it still coming down… Déjà vu anyone? This is the First St. Patrick’s Day that I can remember being warm enough to enjoy a pint on the deck. 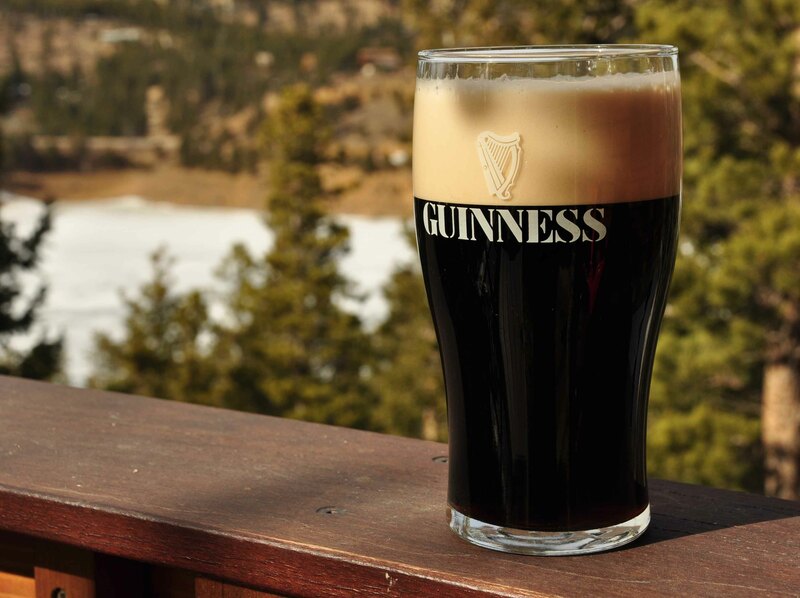 I remember many years of having a pint today for St. Pat’s down in Boulder, the 3000 foot drop in elevation makes all the difference. Boulder sees spring and summer months before we do. Whether it is due to global warming or not, I’m taking advantage of it. There is still ice on Barker Reservoir (seen in background) and there are areas of the yard that still have 2-3 feet of snow covering them, but its 51 degrees! I had the pleasure of working in a t-shirt today up here in the mountains. This morning we had a fire in the wood stove and I can say we will have many more yet this season. The spring warmth has turned our road in to a muddy mess, but it does that every year. Despite the mud and the deep snow in the yard, Spring Fever is alive and well. I have Corned Beef cooking slowly in the kitchen and am taking a few moments to enjoy the bird song and the sunshine. I just finished up a project over at a neighbors the other day. This project grew out of a minor painting project. We ended up painting a bathroom, most of the kitchen, and the entry hallway. Additional work included adding a custom tile back-splash to the bath, and getting rid of the dreaded Z-brick in the kitchen. Two walls in the kitchen had the Z-brick installed over drywall, and part of one wall, installed over a cinder block fireplace wall. I have replaced Z-brick before and its pretty straight forward, you just rip out the drywall with the bricks still on it. Install new drywall and continue. When we got to the fireplace wall we had the surprise of the Z-brick being installed over cinder block. Not a huge obstacle, but one that would require some more time and work. After a few hours with my trusty air chisel we had a Z- brick free wall. A skim coat of mastic and the wall was flat and smooth and ready for the slate tile. The wall pictured above is one I removed a few years ago at a different project, in the more recent project the Z-brick was painted white. The white bricks were far less obnoxious, but still dated and pretty ugly. It took little effort to talk the owner into some nice slate tile, and a couple days later we ended up with a great looking project. In the Bathroom, the custom back-splash replaced a wooden shelf that had a painted white panel storage area. 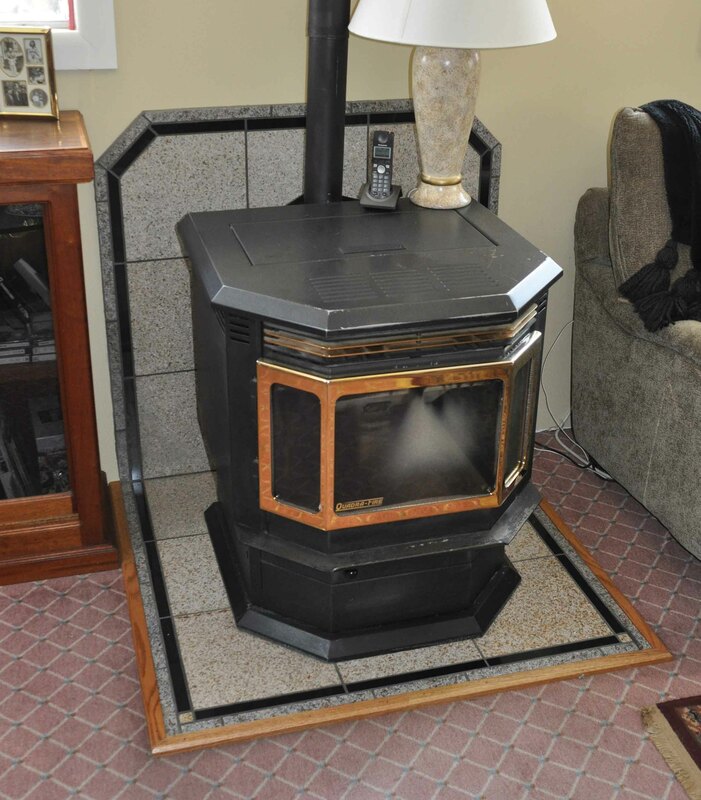 Here the polished black granite matches the black granite accents I used in the living room for her pellet stove surround (I tiled a custom surround for the pellet stove a couple years ago). 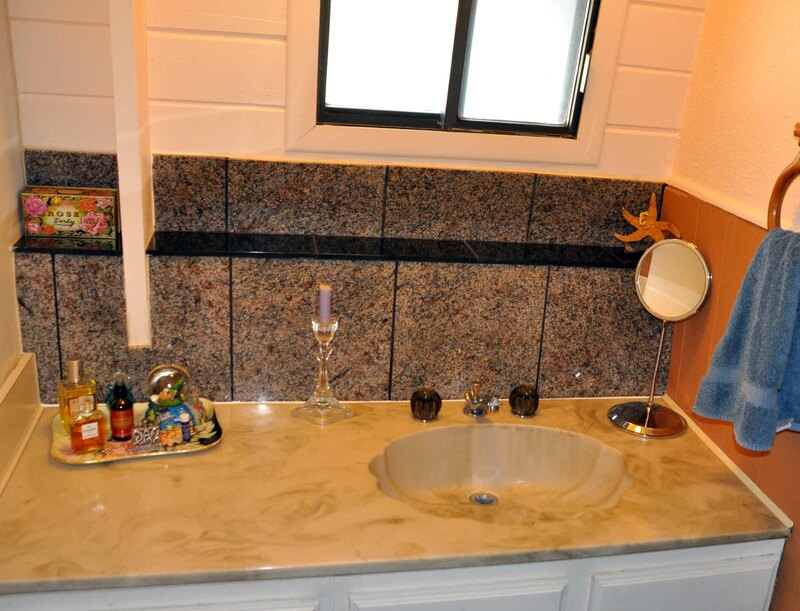 The other granite tile in the bath is the same tile I used for her kitchen counters a few years ago as well. Saving a few left-overs from the previous years projects is a great way to tie all the rooms together. 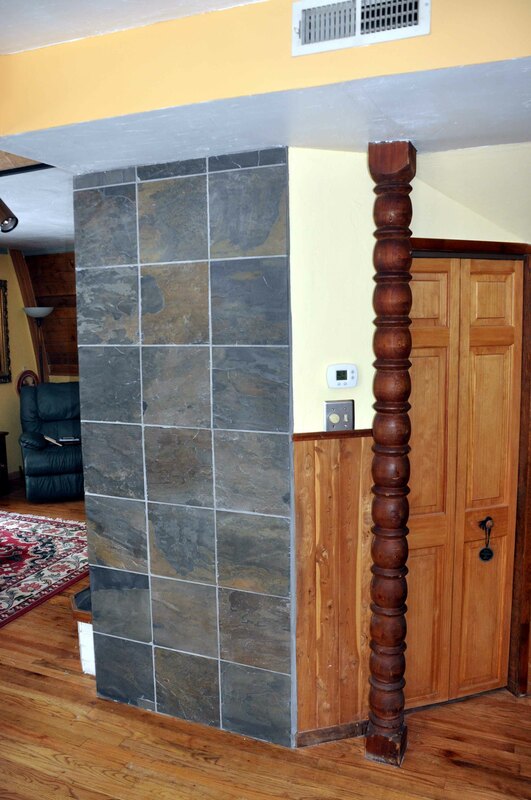 Aside from the slate for the block wall, we only had to buy 3 more square feet of black granite, so we had some great cost savings too. One cool thing…. as I was working on the slate wall….There was an old port in the wall for a vent that would send some warm air from the fireplace into the room. The owner said it never worked well and the fireplace is rarely used, she decided to have me eliminate the ugly grills and cover them over. 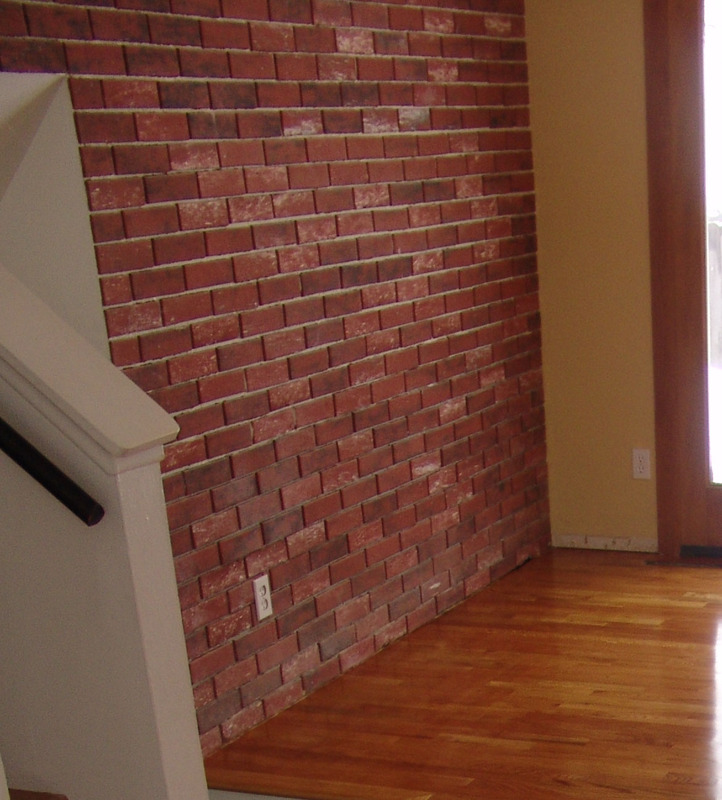 To add a prize for any future remodels, we placed a “time capsule” letter in the wall. I got this idea after finding a 1970’s era newspaper in the wall when working on the bath back splash. In another 30 or 40 years we hope for someone to find our note, and see a snapshot of the past. 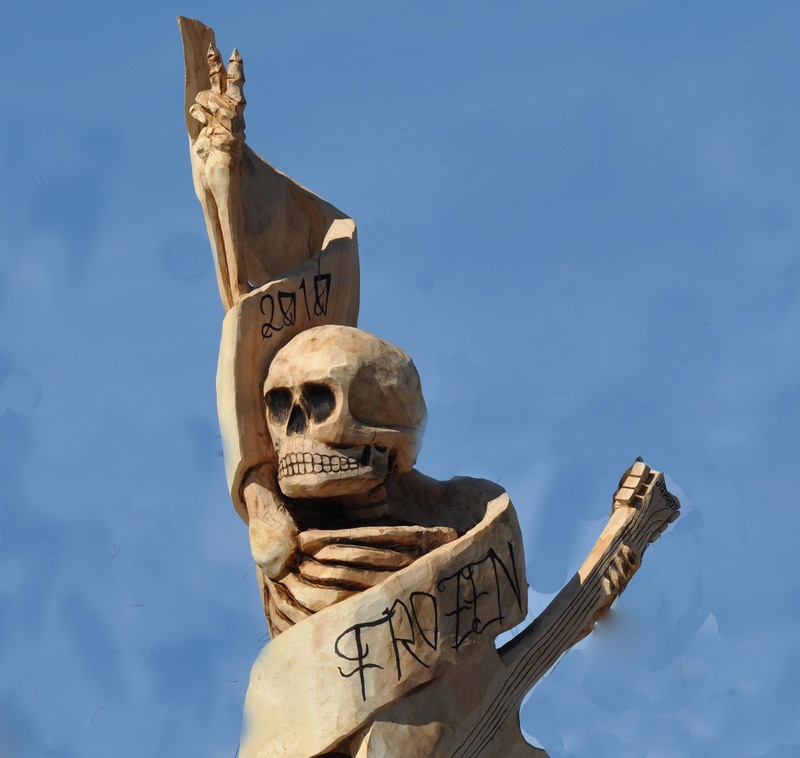 It’s been eight years since the first round of Frozen Dead Guy Days has taken place in our sleepy little town. For those that don’t know what it is, its a celebration rite of spring in which we pay tribute to Bredo Morstol. This year we opted out, actually we have for the last few years. Once you see one coffin race, or hearse parade…they all start to look the same. 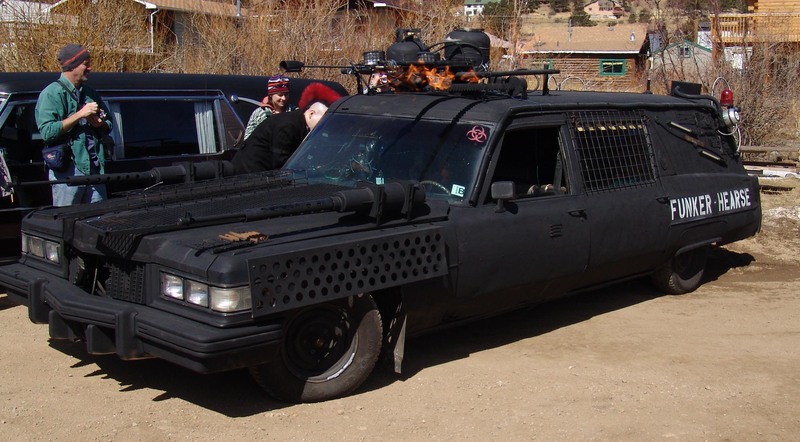 On our trip down the hill before all the hub hub got started we did see the Funker hearse in Boulder heading up to Ned. It was sporting some new, bat wing type fins. The pics below show it with the Flame Thrower in action back in 2004. 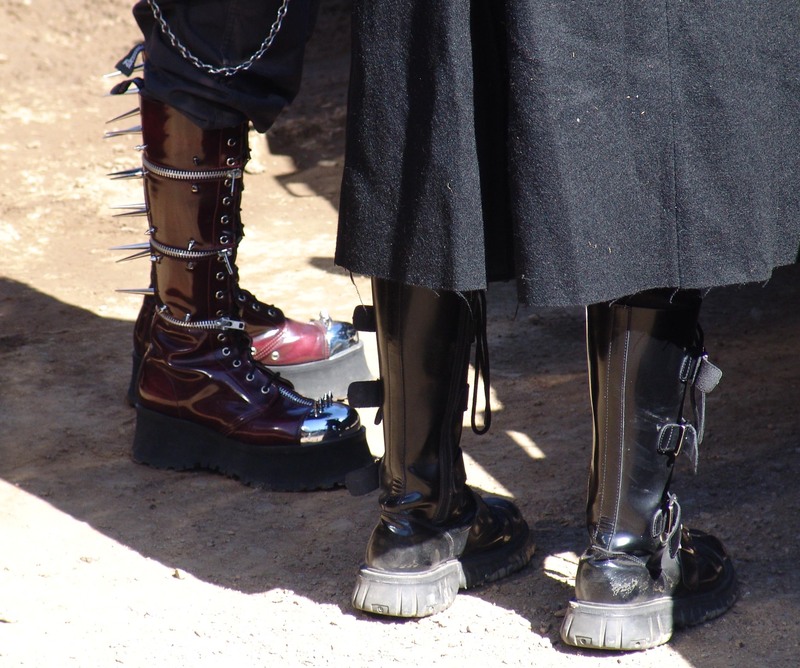 The drivers are ones with the spiky boots, and the hot pink Mohawk. When Tori and I came back home we still saw some cars parked along the Highway…first time we have seen parking up to the rock cut. So It looks like the great weather produced a banner crowd. I only live a couple doors down from where Trygve has his bomb proof house, and the shed were Bredo is in eternal rest. I remember hanging out with Trygve before he got booted out of the country, we sang some songs by his campfire and I got to hear some of his stories. He was the founder of the Boulder Polar Bear Club, and holds some records for sitting in cold water. His belief on the cold water is that it will prepare his body to be better adapted to being frozen when the time comes. Believe it or not, I directed the first news trucks to the site when the story first broke. I did not have a clue sitting with Trygve drinking wine, that behind us in the dopey metal shed was his gramps…just chillin’ as we were… albeit at a much cooler temp. If you want to get a bit more of the story you really need to check out the movie.